CLICK HERE or on photo to see our selection of cast stone blocks! Address Block. 1 Line. Approx. 12" x 6" x 1/2" thick. NOTE: The 1 1/2" thick address blocks shown in the installation instructions have been discontinued as of 10/31/06. The blocks we make now are 1/2" thick as shown in photo above. These 1/2" thick blocks are designed to attach to existing masonry with construction adhesive. For larger blocks, see our cast stone selections above. Made from Palacio Travertine slab with tumbled edges, and sandblasted with approx. 3 1/2" tall numbers/letters, painted black with Lithichrome paint, and sealed with polyurethane sealer. Palacio Travertine is a honed(not polished), marbled, earth-tone stone that varies in color. Example in photo above is approximate hue. Each custom block is hand-made from natural stone. The address line can hold up to 5 numbers/letters/dashes/spaces, centered. Typestyle and black paint are exactly as shown. No custom layouts, typestyles, logos, or paint are available. 1. Click on the "Order Now" button below. Arrives in cardboard box. Shipped by UPS Ground. Shipping wt. 6 lbs. KEYWORDS: Natural Stone Engraving, Stone sculpture carving and engraving stonemasony natural stone ... ... Cut, carved and finely chiseled, our natural stone sculptures and ... limit to the range of stone ornaments that ... can even add carvings and engraving. Custom engraved stone, custom engraved rock, custom engraved ... ... imagination. All deeply engraved in natural stone. Rocks, natural granite, marble, and slate ... ... Custom laser engraving. memorial plaques and natural stone memorials for outdoor use, as well as memorial engravings. unique gifts, garden stones, and pet memorials. Lawn, Garden and Yard accents. Engraved stone lawn, ... ... Deeply engraved prairie rock and natural stone for home, garden, parks, rest areas, ponds, paths, gift, celebration, affirmation and tributes. Headstones, Tombstones, Monuments, Grave Markers, Gravestones, ... Natural Granite stone. engraving of natural stone, marble and wood. custom engraved stone words on natural river stones, carved river rock, polished etched pocket stones, engraved animals & images. natural stone paving including bronte, yorky, whitby, paving, setts, cobbles, walling, kerbs and rockery. Say it in Stone. Pet grave markers, pet headstones, pet loss, pet memorials. natural stone. coring. cutting. engraving. chemical vapour deposition. syngrit. maxigrit. sda. sdb. diagloss. debdust. Granite Finish, Engraving Materials, Marble Finish, ... Sealants, Natural Stone, Sealants, Silicone, Stone and Marble, Slate. Corporate Plaques, Stone - UK ... Supply only of natural stone materials. Stone sealing. Granite kerbs and setts. Computerised Engraving. Specialty Stone and Glass Engraving Deeply etched natural stone and engraved granite pet memorials. Custom Engraving In Sandstone. This natural sandstone. cut and engrave pet headstones and memorials. milling, engraving, lettering, edging ... natural stone ( marble, granite ). Wordestones custom word stone engraving ... pet memorial stones, engraved garden stones, engraved garden rocks, monument stones, favors, gifts ... feelings, stress, tumbled, natural, churches, amulets ... Polished pocket stones with motivational words, names, slogans, animal figures, or logos. Companies - Engraved Brick Fund Raising Ideas ... ... brick pavers for fund raising. Engraved all natural stone materials for fund raising and donor recognition. Masonry Products. Natural Stone Veneers. Clay Brick. ... Stone Fabrication. Stone Cutting. stone Etching & Engraving. 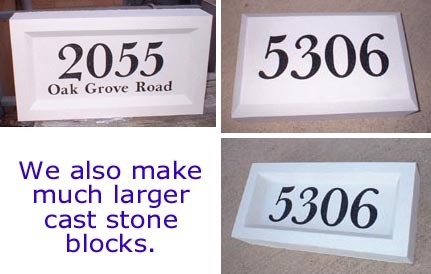 address Stones. Fundraising with Engraved Bricks, Concrete ... ... sandblasting technique enables us to engrave on any surface including brick and concrete pavers, granite, cobblestone, marble, sandstone and natural stone. STONE ENGRAVING. High quality natural stones are engraved for interior or exterior use. This includes limestone, granite, marble and slate. Stock and custom stones for gardens, pet memorials, and celebrations. Pet Memorials, Memorials, Garden Markers .House Numbers. business signage, farm-ranch markers, lawn signs, memorials . laser engraving your favorite portraits on stone. Marble and granite are natural materials. ... Laser engraving photos in black marble and granite. Natural Stone Plaques Beautiful stones custom engraved for your home or garden. Custom Stone Engraving Unique gifts, garden stones. Cast Stone Engraving. natural nameplates and garden memorials . engraved slate house signs, sandblasted stone signs, engraved ... Carved in Stone. Top-quality, finely engraved stone pet memorials. We combine beautifully natural stone and unsurpassed craftsmanship to create unique and cherished keepsakes. paper weights, unique gifts, or outdoor marker stones. 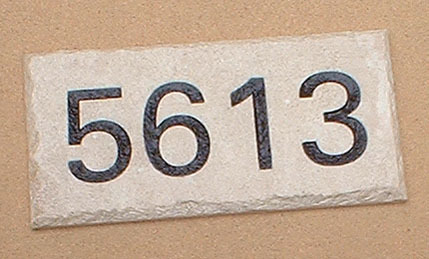 Address Block Cut in natural stone 6" Numbers Engraving. Personalized engraved stones river stones pet memorials garden ... ... add natural beauty to any garden or landscaped area. Our river stones are the perfect way to honor a pet. Remember your dog or cat with a engraved stone pet. Stone and Glass Engraving Deeply etched natural stone and engraved granite pet memorials. sculpting, stone engraving, stone art, stone hearts, logos, stone masonry. Engraved stone, engraved rock, Engraved natural stone, engraved natural rock . polished surfaces and precision sandblast engraving. healing stone, rock, carving, stone product. engraving services are perfect for corporate logos, appreciation or memorial natural stone engraving process. stone and glass engraved awards, plaques, donor bricks and walls, medallions. gravestones, grave markers. Carved stone, carved rock, etched stone, etched rock from ... All deeply engraved in natural stone.